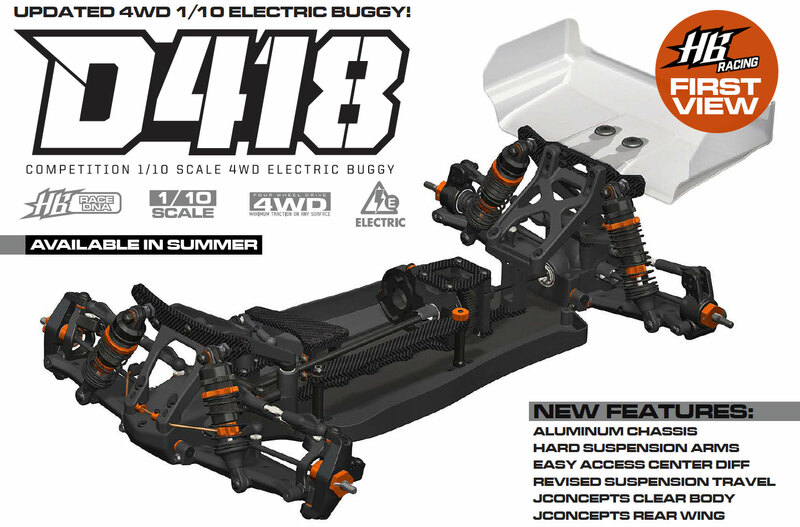 Coming soon from HB Racing is the D418 1/10 scale 4WD electric buggy. HB designer Torrance Deguzman updated his innovative D413 design with new high-performance features based on feedback from our top team drivers. 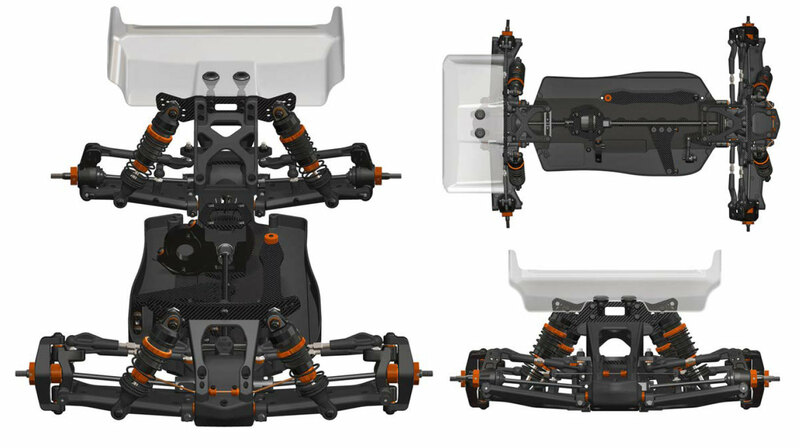 New for the D418 is an aluminum chassis with raised side guards, similar to the successful 1/8 D817 buggy. HB’s trademark monocoque suspension arms now come in a harder material as standard equipment for precise suspension and handling response. The center bulkhead is now split for easier and quicker access to the center differential. The highly adjustable suspension now has revised suspension travel and shock length for improved performance. And, the D418 kit is now topped with a clear JConcepts 4WD buggy body and JConcepts wing. How does faster, stronger, and more adjustable sound? The D418 checks all of the boxes.